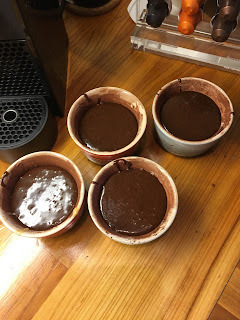 Grease the inside of 4 ramekins with butter and lightly dust with cocoa powder. In a mixing bowl, whish together eggs, sugar and vanilla. Slowly pour in the chocolate mixture and whisk until fully incorporated. 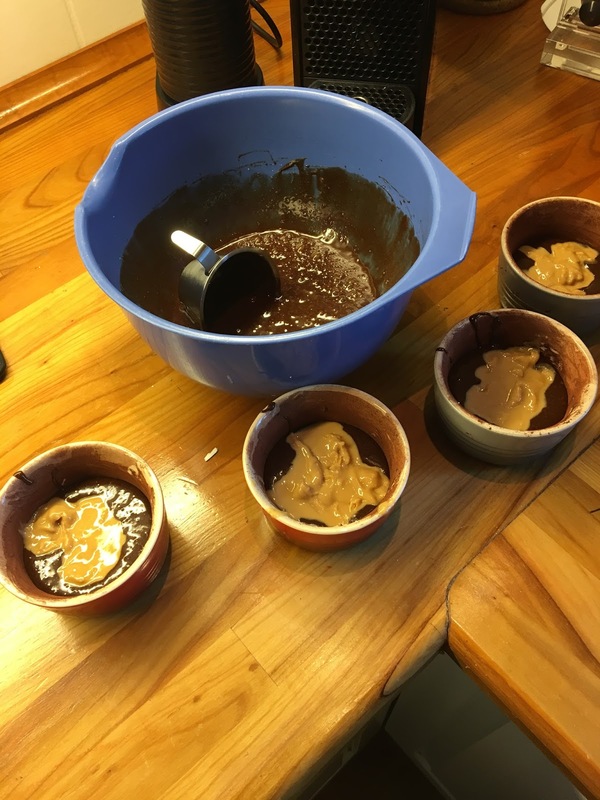 Put about ½dl batter into each ramekin, add a heaped tbsp of peanut butter and finish with another ½dl batter. Bake at 220C for 10-12 minutes or until the sides are firm and the center is soft. At this point you're supposed to be able to turn the ramekins upside down and have the lava cake come out on a plate. That never worked for me, but fortunately they could be eaten just as easily straight out of the ramekins. I used creamy peanut butter in the assumption that it would work better than crunchy. I was wrong - should've definitely gone with the crunchy! And even with the peanut butter, I think it could still have benefited from just a tad more salt. That aside, it was extremely rich and absolutely delicious! Both warm that same evening, and cold the next day.